Austrian Foreign Minister Sebastian Kurz has made a clear message to those Turks living in Austria who want to involve themselves in Turkish politics, saying they are free to leave the country to do so. The failed coup in Turkey, which led to thousands taking to the streets in Vienna over the weekend, has been sharply dismissed by Austria’s Foreign Minister Sebastian Kurz, who joins presidential candidate for the anti-mass migration Freedom Party (FPÖ) Norbert Hofer in denouncing the action. Mr. Kurz has stated that those who protested in support of the Turkish President Recep Tayyip Erdoğan were “anything but commendable”. In a new interview on Thursday the minister has gone so far as to say that Turks in Austria who want to participate in Turkish politics should leave, and the ministry summoned the Turkish ambassador over the incident, Kurier reports. “Whoever wants to be involved in Turkish domestic politics, they are free to leave our country,” Mr. Kurz told Austrian media via a telephone call from an anti-Islamic State conference taking place in Washington DC on Thursday. 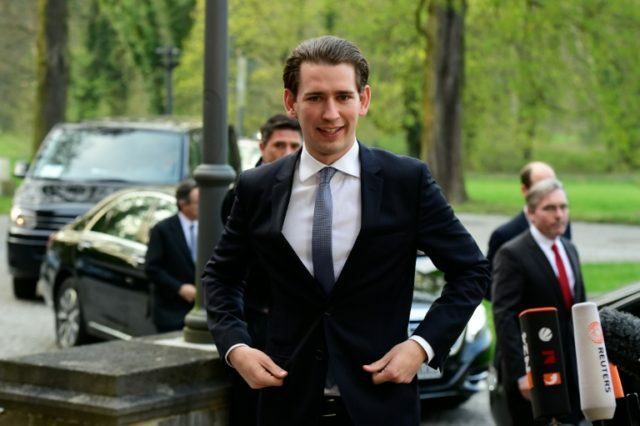 The comments are a reaffirmation of the stance of Mr. Kurz’s party, the Austrian People’s Party (ÖVP), who have said they expect all Austrians of Turkish origin to behave in a manner “loyal to Austria”. The coordination of the demonstrations is also under the microscope as some accuse Ankara and the Erdoğan regime of having a hand in organising events. The issue led to the summoning of Turkish ambassador Hasan Gögüş who has dismissed what he called “biased and unfair criticism” of the purges currently ongoing in Turkey. “Such behaviour could also mean support for the rebels,” he said in a letter to Austrian media in which he slammed the coverage of the coup attempt. The purges have so far seen a travel ban on all Turkish academics and the suspension, firing, or imprisonment of more than 50,000 government workers, educators and armed forces members. Mr. Gögüş, however claimed that the participants in the coup will be tried “by the independent judiciary in line with our international obligations and applicable law”. The statement is countered by the Turkish announcement Thursday that the European Convention on Human Rights would be suspended, despite rumours of torture of prisoners persisting. “We have evidence that the demonstrations for Erdoğan that have taken place in Vienna were called for directly from Turkey… and that, of course, is absolutely untenable and we want to protest against that,” Mr. Kurz told Austrian broadcaster ORF justifying the reason for the summoning of the ambassador. The Austrian Foreign Ministry says above all they want “clarity in which direction Turkey develops”.